Anyone who knows me knows my secret power. I can spot a mismatched plaid, stripe or print from across a room within seconds. Walking through a department store in the fall is one of my least favorite things to do, because the plaid shirts and heavy stripes say “look at me!” and all I see is the carelessness with which those shirts were sewn together. Pockets are askew, colors and stripes don’t appear to have even been attempted to match up at the side seams, and more often than not, even the center front is offset, making the shirt appear twisted. I sigh, shake my head, and move on. It’s a sign of fast fashion and carelessness, and I care about having well made and well matched garments. But every once in a blue moon, there is a shirt or dress that has been lovingly matched. The stripes fall gracefully across the body of the garment, or the floral pattern has a balanced flow across the bodice, without flowers being chopped up by seams. These pieces are quite a bit more expensive because of the care and attention to detail that has been given during the planning, cutting and sewing process. Is it worth it? Absolutely. But it’s also worth it to learn these matching skills yourself, because when you have a fully matched garment, your sewing skills show you are detail oriented and your garments are much more professional than anything you could find on a department store rack. 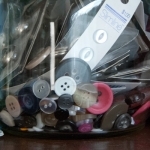 With perfectly matched seams, a shirt or dress says “I made this” not because it looks homemade, but because it has been sewn so well, there is no way you could have found it in a store. With this in mind, I proposed my new class to Craftsy, and they were on board! I have been writing and sewing and writing and sewing and finally filming, and now the class will be released in a few days! I am really excited to share this one with you! If you have ever wondered about laying out and perfecting matching and sewing plaids, stripes, prints or any other fabric for amazing results, I would love to have you join my class! 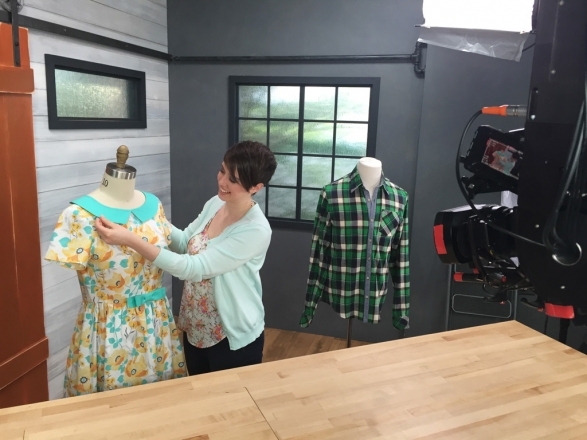 You have a chance to win my class for free for the next 4 days, thanks to Craftsy. All that you need to do is click the link below and you will be entered to win. The giveaway closes on March 6th. They will randomly choose a winner and then I will let you know if it’s you! After my class launches, I will share more projects and class samples with you, but here’s a sneak of my favorite one, a gingham Grainline Studio Archer. I am so in love with this shirt, and I couldn’t be happier with the matched plaid lines. I hope you’ll join me for some really fun sewing! 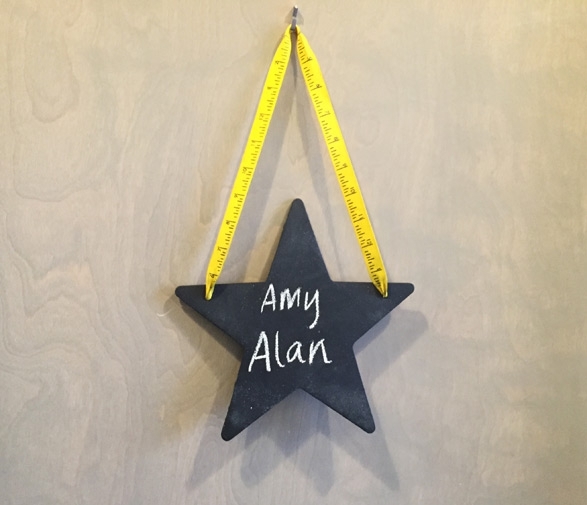 This entry was posted in Fabric, How to Sew and tagged Craftsy, fabric, plaid, sewing on March 3, 2016 by Amy Alan. That gingham! It’s so perfectly matched that I’m honestly intimidated! Amazing work! Aw, thanks, but don’t be intimidated! 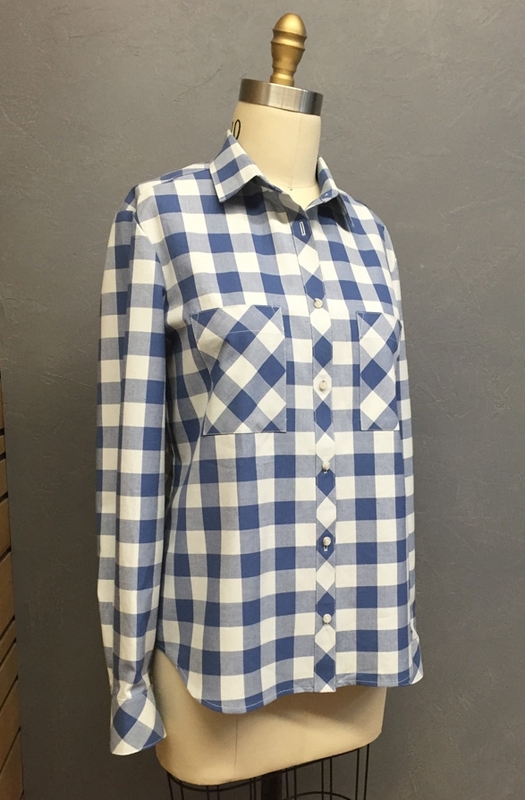 It takes some planning and work, but with some tips and layout notes, you could have amaaaaaaazing shirts or dresses out of those incredible plaids you sell! Don’t think I haven’t been eyeballing them for months and months! I needed a shirt pattern like this. Is it womens though? It is! I love this pattern. It is the Archer shirt from Grainline Studio. It IS a nice pattern/shirt. Oops, I meant is it mens, or is there a way to make it for men? Really beautiful shirt, Amy! But I am more in love with that dress…beautiful. By any chance, in the class, do you divulge the dress pattern that was used to make this? Just love it! If you don’t, can you please share that information in this forum? Thank you, Maggie! Yes, I always tell students the patterns I use in my classes. It is the Christine Haynes Emery Dress. It’s a lovely pattern! It really is a lovely one. I’ve been meaning to make more. Oh, the sewing list is ever-growing, isn’t it? Hi! Sorry for the late reply, I’ve been out of town and teaching in Alaska. No, I do not teach specifically matching raglan sleeves in my pattern matching class, but I know that the information I share for matching plaids and drawing on your pattern pieces would really be useful for lining up designs on a raglan pattern.